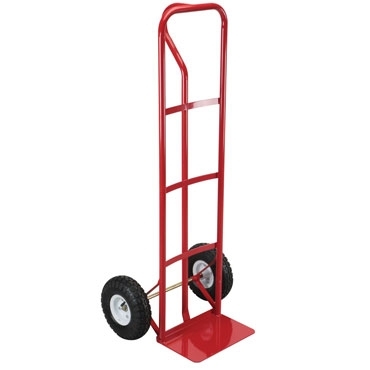 Make the job easier with hand trucks and pallet jacks from KVM Tools. They are perfect for helping to move boxes and other items. You’ll be able to get things done faster and with less risk of injury with the help of our hand trucks, pallet jacks, and utility carts. Pick up a platform truck that has a wide base to carry larger or oddly sized items or a pallet jack, to give you the power you need to move large pallets from place to place. Find heavy duty hand trucks and pallet jacks with low discount prices at HarborFreight.com today.